As a new political and policy era dawns in Washington, the status of the nation’s schools remains stable, though still earning a grade of C fromQuality Counts 2017, the 21st annual report card issued by the Education Week Research Center. Massachusetts (85.2) ranked first for K-12 Achievement, posting the only B. It has been the leader in the rankings for nearly a decade. 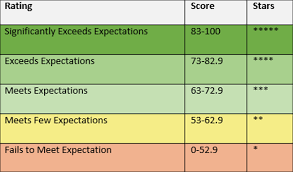 New Jersey (81.0), the only other state with a grade higher than a C-plus, earned a B-minus. Mississippi (60.0) and New Mexico (61.8) received the nation’s lowest grades at D-minus.